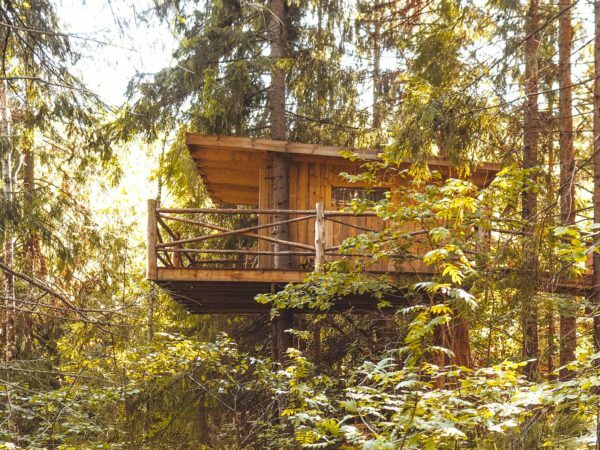 Wake up between the treetops in your own treehouse, an ecologically hand-built log cabin 5 to 10 meters above the ground. 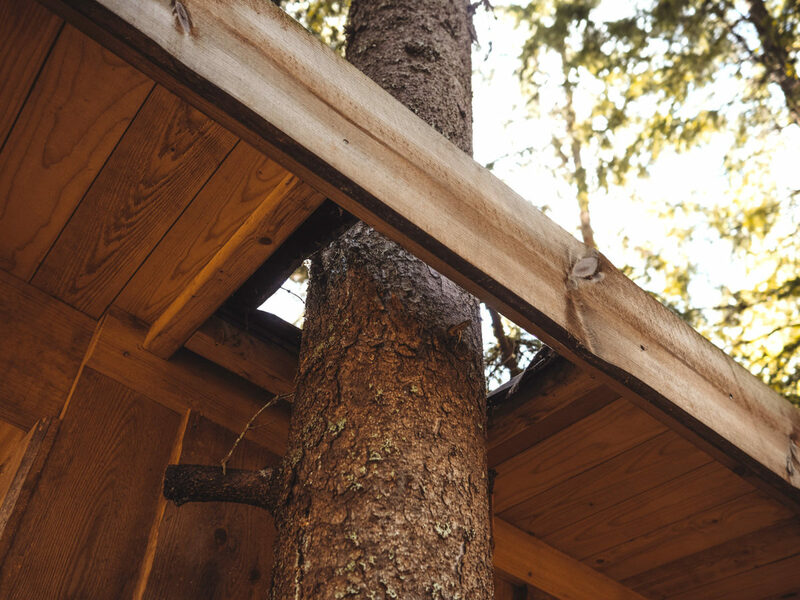 The tree hut can move gently in the wind and sits cleverly built among the spruces, without harming or damaging the trees. 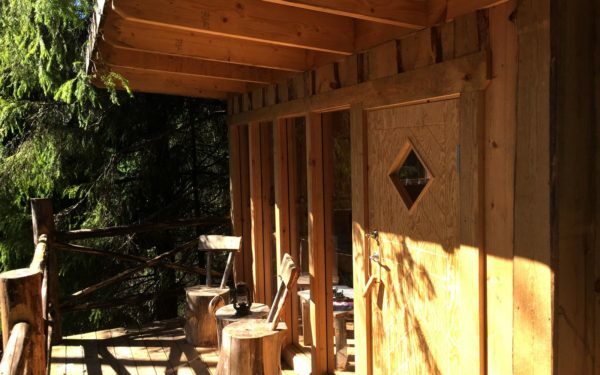 At Naturbyn we have two lovely decorated treehouses, ‘Sehr Scjhönn cabin’, which sits 10 meters above the grounds and ‘Cuckoo’s Nest’, a more welcome 5 meters above the ground. 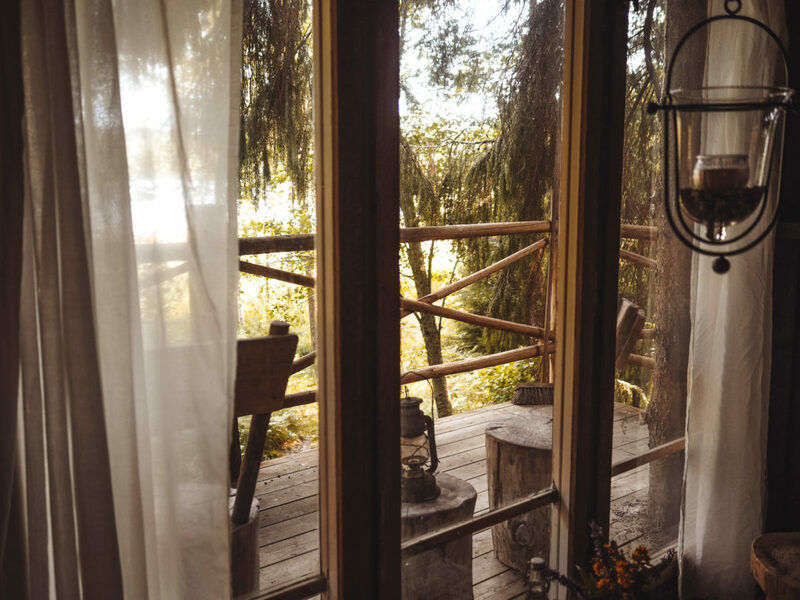 The treehouses have a large window and a private terrace, that offers you an amazing view over the lake. 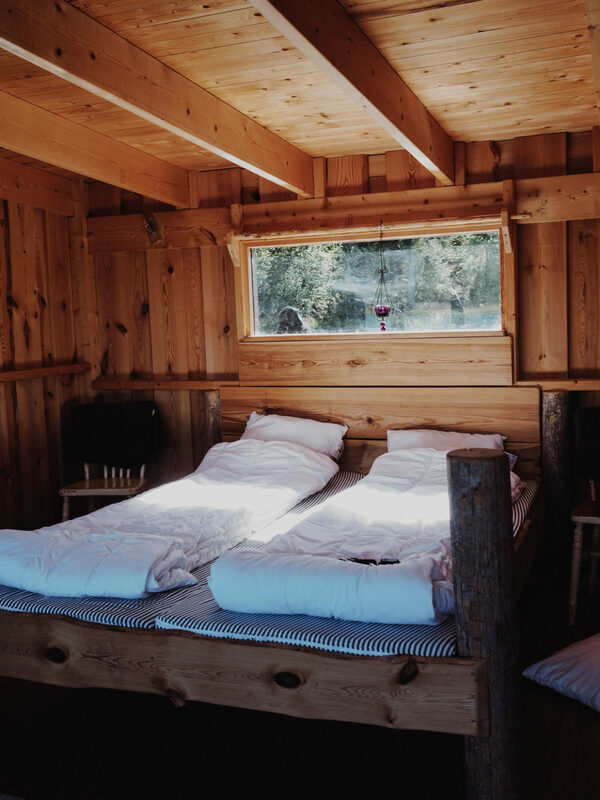 The treehouses are cozy but spacious for two people and offer a comfortable double / queen size bed, hand-crafted furniture inside and outside, paraffin lamps, candles and wood stove. 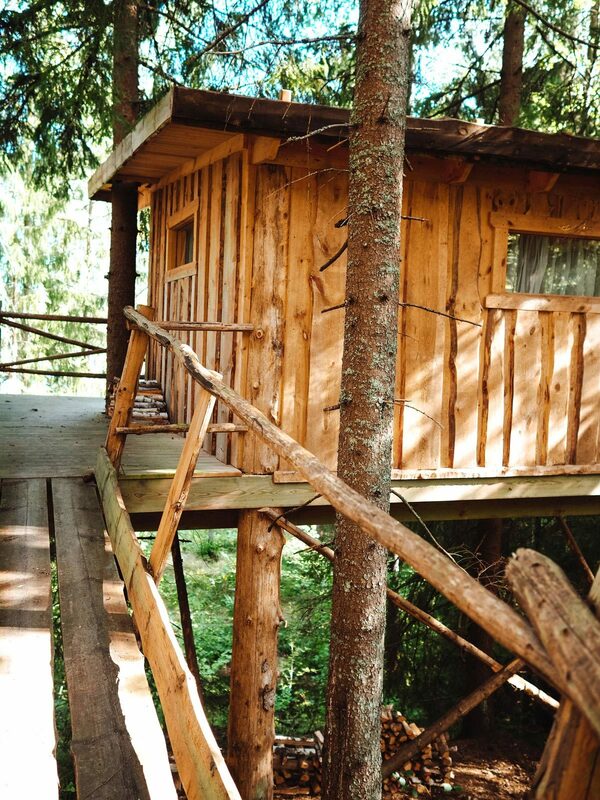 "We loved the newly built treehouse in the treetops! 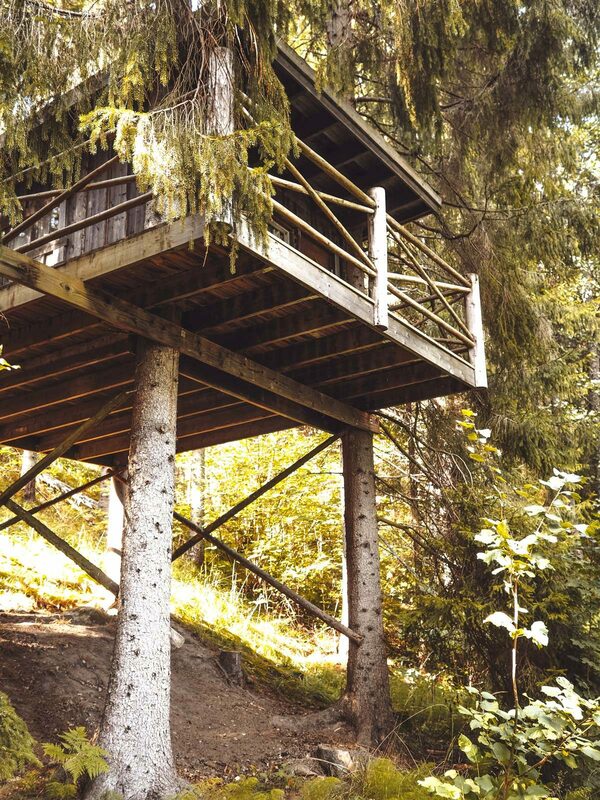 A proper treehouse with spectacular views and beautiful wooden furnishings." 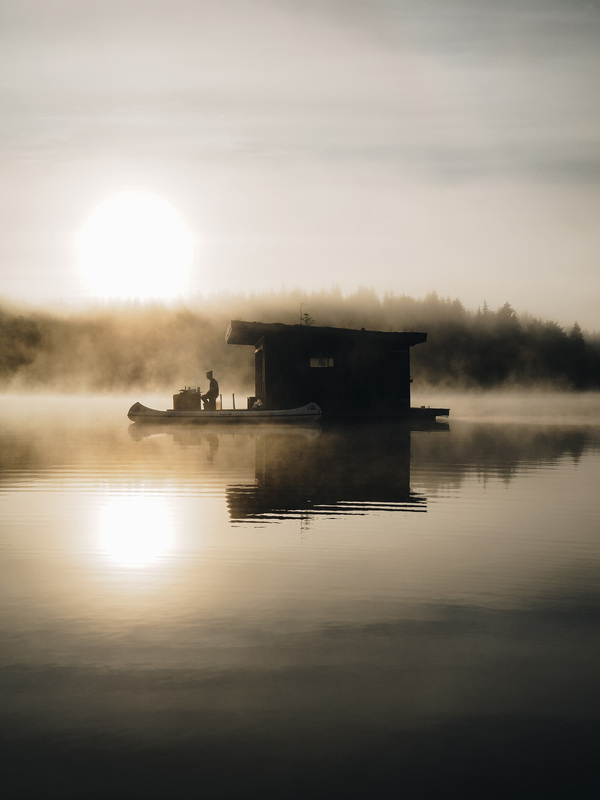 While preparing your diner on an open fire or on the wood stove, you can find all the cooking equipment you need. 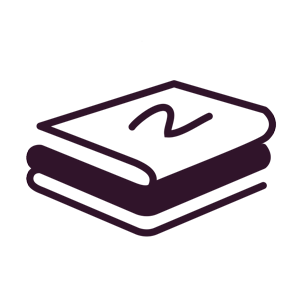 You can even find a proper stone oven for baking bread or pizza. 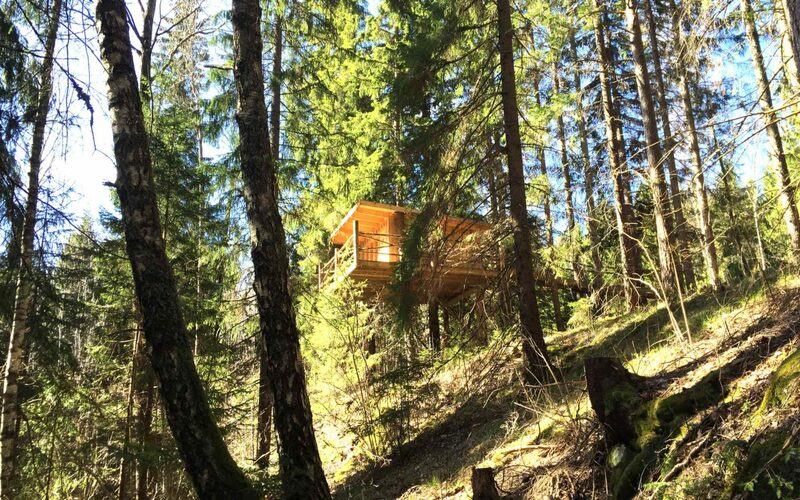 Book your visit in one of our Treehouses! 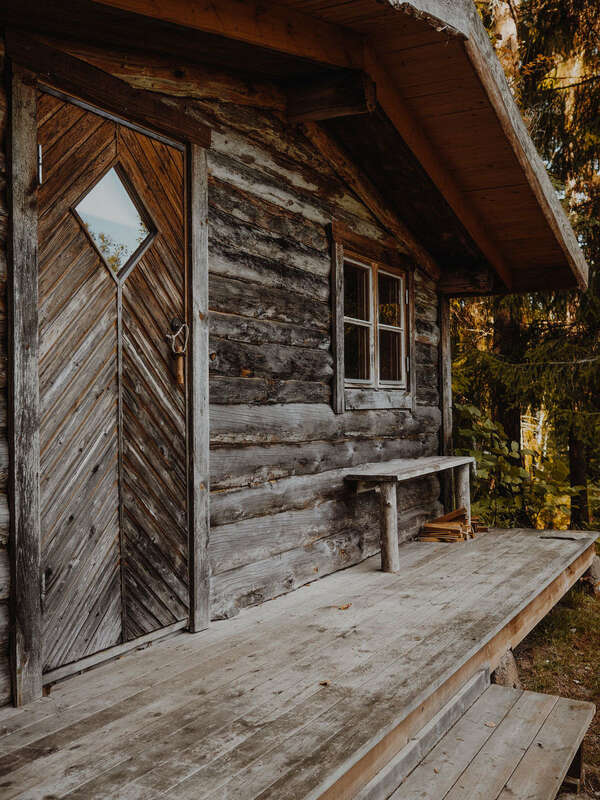 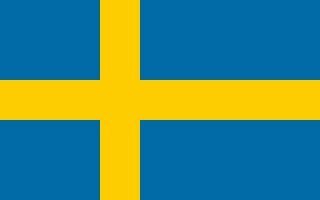 You can choose between a treehouse 10 meters above the ground, Sehr Scjhönn cabin or if you would like to see the ground closer book Cuckoo’s Nest.